Light floral lotion to soften normal to dry skin. Only roses could bring this velvety bloom to your skin. Only Weleda makes it flawlessly natural. The bloom of a rose defines velvety softness – something we all want for our skin. 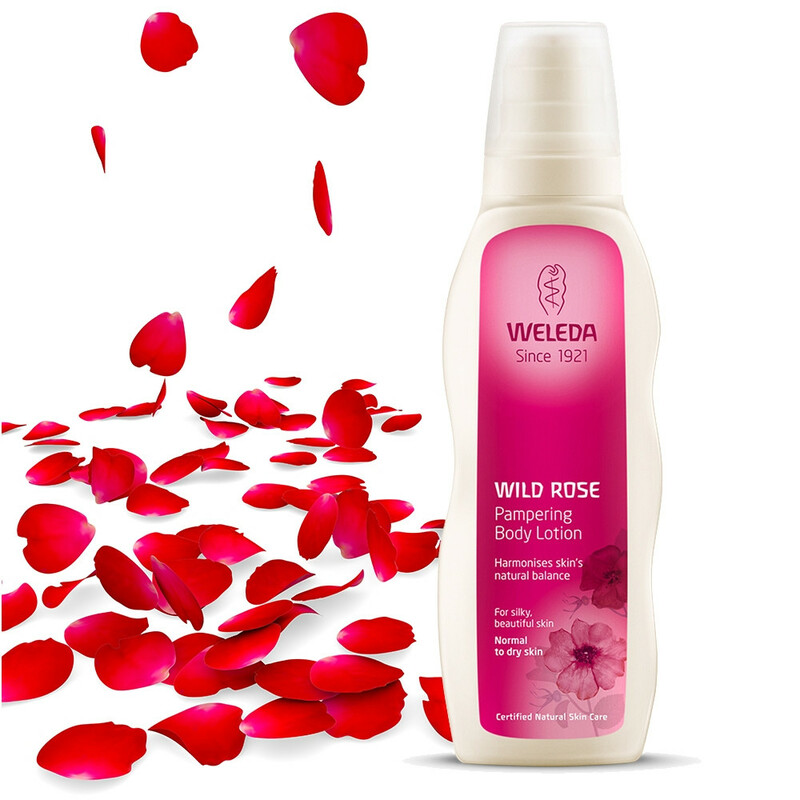 Weleda’s light Wild Rose Pampering Body Lotion asks the tough and vigorous wild rose for her secret seed oils, which regenerate and stimulate skin, while damask rose petals bring a delicate, indulgent fragrance. Natural ingredients do nothing but good to your body, making this silky lotion a sensory treat that works wonders. Breathe in the harmonising, rich scent and feel long- lasting, beautifully soft results. Ideal Skin: Perfect for normal to dry skin. Ingredients: Water (Aqua), Simmondsia Chinensis (Jojoba) Seed Oil, Alcohol, Glycerin, Rosa Moschata Seed Oil, Glyceryl Stearate SE, Fragrance (Parfum)*, Butyrospermum Parkii (Shea) Butter, Glyceryl Stearate Citrate, Hamamelis Virginiana (Witch Hazel) Distillate, Rosa Damascena Extract, Magnesium Aluminum Silicate, Chondrus Crispus (Carrageenan) Extract, Xanthan Gum, Limonene*, Linalool*, Citronellol*, Geraniol*, Citral*, Farnesol*.